Jagex today unveiled the first details of their latest title, Carnage Racing, which will be released exclusively on Facebook in November 2012. Carnage Racing has been developed by the company’s recently established Californian studio and marks the RuneScape developer’s first foray into social media gaming. Featuring platform defining 3D graphics, Carnage Racing aims to take multiplayer Facebook gaming to a new level in graphical fidelity. 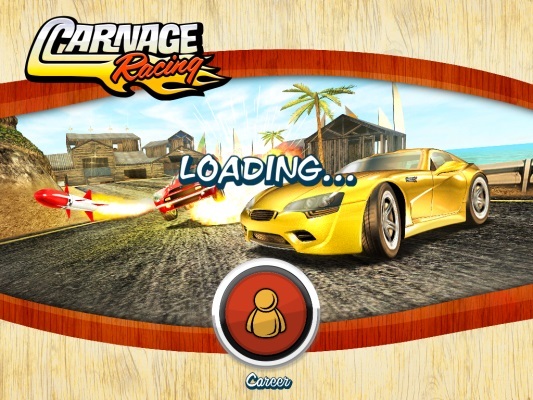 Carnage Racing offers racing fans a fast-paced experience, complete with a wide variety of vehicles, weapons, warps, boosts and tricks to test even the most experienced gamer race after race. With every completed contest, players collect experience points and game currency which can be traded-in for new vehicles, more powerful weaponry and special features which could propel players to the front of the grid. Regardless of whether you prefer racing head to head with up to seven friends, an achievement player looking to top the fastest times table, or even a single player looking to test your skills against the games AI, there is something in Carnage Racing for everyone. The game has been developed by Jagex’s newly created Californian studio, staffed by the team of Midnight Club series veterans, who bring a wealth of experience in the racing genre and promises to bring high-quality multiplayer racing to the world’s largest social network for the first time. Carnage Racing: How About Some Carnage in Your Pocket?